DS2 Replaced by DST. Click here to go to the DST page. Replaced by DST. Click here to go to the DST page. The DS2 is a versatile Digital Force Gauge that measures push and pull forces. An ergonomic metal housing protects the highly accurate loadcell and electronics in tough industrial environments. 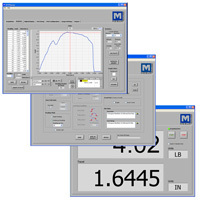 When measuring, units of measure and a tension or compression icon are displayed. A battery icon indicates the NI-MH batteries are low. If an overload occurs the display will flash to warn you. If desired, you can program high/low setpoints to enable Go/NoGo testing using the LCD indicators. 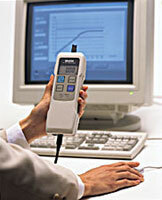 Standard outputs (RS-232C, Digimatic, and ±1VDC analog) enable you to acquire data for permanent record. All DS2 gauges can run on the internal NI-MH batteries or the AC adapter/charger. An optional handle to facilitate the measurement of heavy loads is also available. 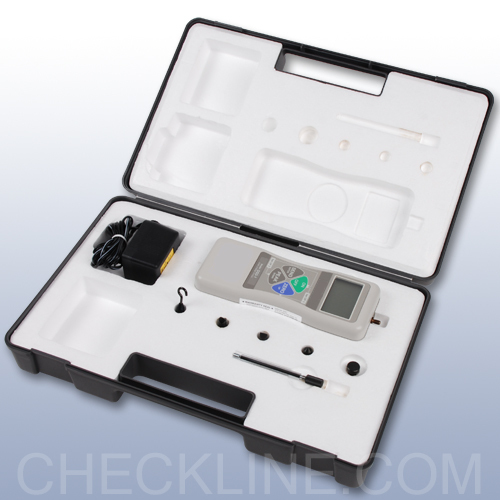 All DS2 gauges are sold in a complete kit with gauge, hard plastic carrying case, a set of six standard attachments, NIST Traceable Calibration Cert, Instruction Manual and AC adapter/charger. 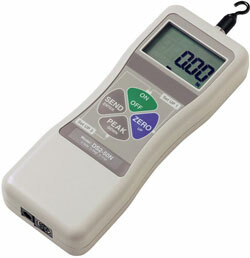 Digital Force Gauge, 7 oz / 200 g / 2 N Capacity Replaced by DST. Click here to go to the DST page. 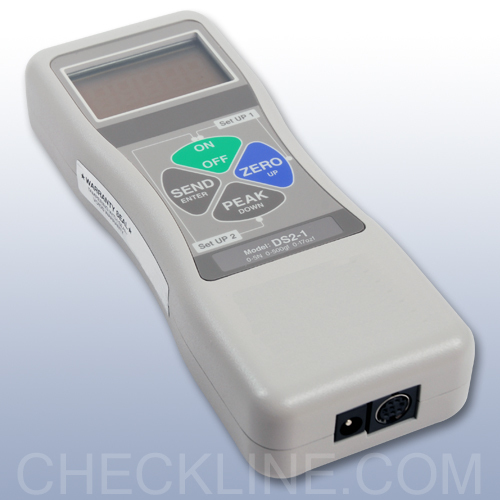 Digital Force Gauge, 1 lb/ 500 g / 5 N Capacity Replaced by DST. Click here to go to the DST page. 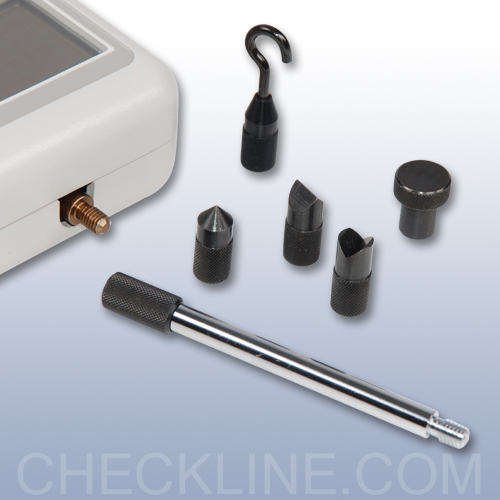 Digital Force Gauge, 4.4 lb/ 2 Kg / 20 N Capacity Replaced by DST. Click here to go to the DST page. Digital Force Gauge, 11 lb/ 5 Kg / 50 N Capacity Replaced by DST. Click here to go to the DST page. 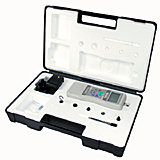 Digital Force Gauge, 44 lb / 20 Kg / 200 N Capacity Replaced by DST. Click here to go to the DST page. 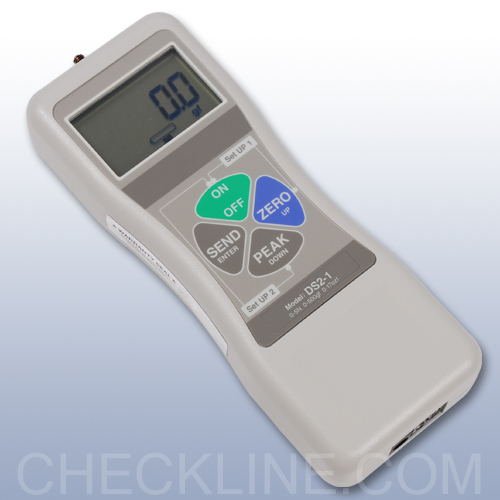 Digital Force Gauge, 110 lbs / 50 Kg / 500 N Capacity Replaced by DST. Click here to go to the DST page. 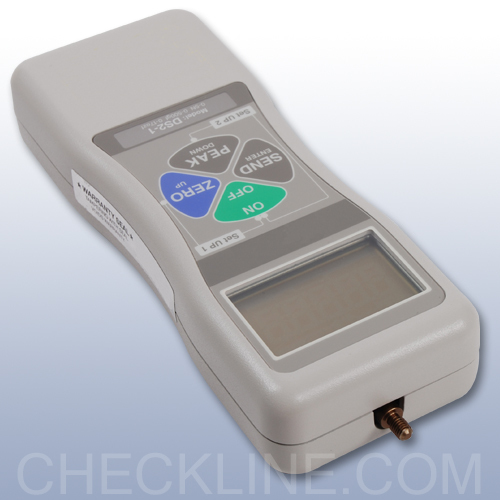 Digital Force Gauge, 220 lbs / 100 Kg / 1000 N Capacity Replaced by DST. Click here to go to the DST page.